As of September 1, 2012, the University Transportation Center for Mobility (UTCM) is no longer an active center of the Texas A&M Transportation Institute. The archived UTCM website remains available here. UTCM Collaborations with Ag Economics featured in Texas Transportation Researcher. Texas Transportation Researcher magazine featured UTCM's collaborations with the Texas A&M Department of Agricultuural Economics in its most recent issue. The article is available here. Collaborations include innovative research, graduate student training and technology transfer. Award Winning Project. In May, Joan Hudson's UTCM project designed to improve community bicycle facilities was awarded the Women’s Transportation Seminar (WTS) International 2011 Innovative Solutions Award at the organization’s annual conference in Denver. More information is available here. Award Winning PI. 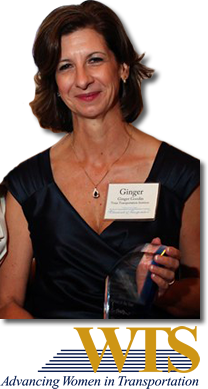 In March, the Women's Tranpsortation Seminar Heart of Texas Chapter named TTI Senior Research Engineer and UTCM Researcher Ginger Goodin as the chapter's 2011 Woman of the Year. Goodin is TTI’s Planning and Environment Division Head, as well as leader of the Institute’s Austin Office. More information is available here. "Comparing Perceptions and Measures of Congestion"
Transportation and mobility are at the very center of the American way of life. Mobility issues impact nearly every aspect of society, including health care, recreation, education, goods manufacturing and delivery, and national security. Thus, as we address mobility issues at national, regional and local levels, we improve the quality of life for Americans. UTCM facilitates mobility enhancement through competitive funding of programs in Research, Education, and Technology Transfer. This website offers information for professionals in the field of road user fees to advance the discussion of user-based fees as a potential replacement for the fuel tax. It includes information and links on the topic of mileage-based user fees, a link to the 2012 Mileage-Based User Fees and Transportation Finance Summit website, and proceedings from the UTCM-sponsored Mileage-Based User Fee Symposia (2009-2011). An informational resource for ATM operational strategies from overseas and across the U.S., including ATM projects and facilities, ongoing and completed research, information on meetings and other events related to ATM. The site also has links to key related Internet sites, and information on the TRB Joint Subcommittee on Active Traffic Management. An on-line reference guide to transportation financing for decision-makers. The Guide clearly explains financing options across all levels of government. Phase I covers highway funding options. 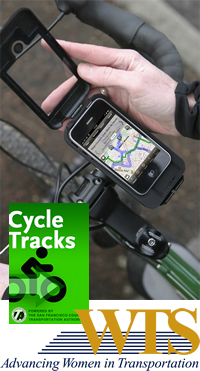 A review of all other modes of surface transportation will follow in future phases. This conference addressed the current state-of-the-practice with performance measures for transportation and livable communities in urban, suburban, exurban, and rural areas. Current research, projects and initiatives were highlighted and future research needs were discussed. Please send comments, suggestions, and queries about this web site to the UTCM Webmaster.